I have been asked for many months to share the best ways to sell pre-loved items from your wardrobe. It's fair to say that most of us have at least a few items of clothing we could off-load. But for different reasons, we hold on to them. Mostly emotional reasons (guilt/attachment), sometimes life-changing reasons (following weight loss or gain) and in lots of cases, practical reasons...we don't have the time and are unfamiliar with some of the technology. The easiest thing is to bag it for charity and as someone who has volunteered in a charity shop, I'm all for that but if you have items in your wardrobe that you invested decent money in or that still have labels attached, it's not unreasonable to look into trying to make back some of the money you paid for them. Depending on what you're selling, there's usually a market out there willing to buy it - for the right price. This blog post outlines 5 ways to sell (and 1 way to swap out) items from your wardrobe. I've used all but 1 of them so I'll share with you my tips for each of the ones I've used and why I chose one over another based on the item and how easy I want the transaction to be. This is the obvious place to start, it's going to give you the biggest marketplace with 2013 figures showing 4 million people listing one item a month on the website and more recent figures (2016) quoting over 150 million active buyers worldwide. The easiest way to sell items on eBay is via the App. You can lift photos from your phone library and apart from writing a bit of a description, everything else is mostly a tick box. You can sell items on an auction basis or on a 'buy it now' (BIN) fixed price basis, with auctions defaulting to 7 day listings (though you can amend 3/5 or 10 days) and BIN items defaulting to 30 days. I find eBay best for well known, mid-range brands in good condition. Next, FatFace, M&S, Clarks and the like sell well on here because they are sought after and people are more likely to search for them. Lower price brands like H&M, Primark & Matalan, don't tend to sell as well on eBay unless they were a blogger hit or something that a celebrity wore (use those words when selling if so!). But for run of the mill 2nd hand items, remember that if it only cost £10 or £15 to start with, it's less likely that anyone will want to pay much more than a few pounds for it after it's been worn, especially when they have to pay postage too. Be very cautious of selling anything of high value on eBay. Unfortunately, the large customer base here means you're more likely to find yourself the target of a dodgy buyer. The most common issue is where a buyer claims the item was not as described, or damaged. If you've not sent it 'signed for', you may be told it's not arrived. In the case of items like phones, you could have a completely different (damaged) item returned to you. Unlike most retail transactions, eBay comes with a firm SELLER BEWARE warning. Buyers are generally favoured in disputes. I speak from experience and after one failed attempt to sell an iPhone, I now steer clear of selling anything over £50 on eBay. I never sell outside the UK and Ireland. Again, experience speaking here. It can work out absolutely fine and you may get more for an item through opening up the target audience (though I never have!). Every time I've sold outside the UK/ROI, I've had an issue. Non-Receipt or slow delivery of goods is an issue but I've also had communication challenges with non-English speaking buyers. I know many people have sold successfully outside the UK but I don't have the time or patience. Search out similar listings to get a feel for what others are charging. Select the 'SOLD' listings option on the menu to see at what prices items actually sold at. You may see high prices for items but that doesn't mean the market is buying at that price. Publish your listings in the evening (7pm-9pm) or defer your start time to the evening to ensure that you're getting as many people as possible online at the time your auction ends. Set the price as low as you'll grudgingly accept. You will get more interest if the starting price is slightly below what the item is worth. Yes, you run the risk of selling at that lower price but equally, it increases the chance of a bidding flurry at the end of the auction. Consider setting a Buy it Now price to run alongside the auction. You'll pay an extra 50p in fees but it's a great way to potentially sell the item before the auction ends for a higher price than the starting price. Lots of people love having the BIN option as they can't be bothered to get into a bidding situation or won't be around to see the end of the auction. So for instance, I might list my Next navy coat above with a starting price of £12.99 and a BIN of £20. Note - once someone places a bid at the opening bid level, the option to BIN is no longer there and you revert to an auction situation. Be careful with postage. You can either put people off bidding if your postage is too high or you can end up getting stung for extra postage costs if you pitch it too low. As a guide, a standard winter coat wrapped up well, sent 2nd Class signed for postage, will cost about £4 within the UK. I usually quote £4.50 for these on my listings. If you're not sure, there's a great postage calculator on the Royal Mail website. A pair of kitchen scales and a measuring tape will help you get a pretty accurate postage rate. For designer items like handbags, it's worth looking into using a consignment store. If you don't have one close to where you live, there are online consignment shops like Vestiaire Collective, which check and verify items and act as a third party between buyers and sellers. You can read about how they work on this link. I've never bought or sold on this website myself though I've read about plenty of reputable bloggers using it successfully. I prefer to use my local consignment store - DejaVu on the Lisburn Road. There's also another one over on Bloomfield Avenue called Rich Rags, which I've shopped in but I've no experience of consigning with them. This one is easy as you're not doing the work. Bring your in-season, good quality items into the store and you'll leave with a list of what you brought in. The owner will agree an approximate price and you just need to check in every now and again to see if the items have sold. If they haven't after a few weeks, you should clarify whether you want to take the items back or reduce prices. Items need to be at the higher end of the high-street, Reiss/Hobbs/Boden and above but other items may be taken depending on condition/likelihood of selling easily. Handbags sell particularly well via pre-loved. Shoes will sell well if in excellent condition. In the case of DejaVu, Ruth knows her customer base and will tell you immediately if something won't sell. She simply hasn't the room to take in everything so will be very honest with you when you come in with your items. Personally, I think you're better off selling the items I referred to on the eBay section above on eBay before opting for preloved simply because you'll get more for them (see costs below). However, selling this way saves you a ton of work (listing/photos/packing up/posting) so it's perfect for anyone who's too busy to sell online themselves. Generally speaking, you will receive 50% of the selling price. This might seem unattractive at first glance but pre-loved stores generally achieve more for the item than you would get on eBay. So you're getting 50% of a bigger amount...and don't forget to factor in the eBay/PayPal fees when working that out. You'll receive cash in hand safe in the knowledge that there's no return/refund or feedback to worry about after the item is sold. Some shops offer a more competitive % split in the proceeds if you re-purchase product from the shop. Keep in touch with the shop and make sure you diarise to pick up any unsold items at the end of the selling period agreed at the outset. Be realistic with your price point and be prepared to reduce prices if items don't sell within the first 6 weeks or so. If you're selling a high demand item e.g. a Mulberry handbag, it's worth asking if there's any room to negotiate on the % commission. If it can be sold fast, there might be scope to agree a higher percentage for you. If you have a blog or a good presence on social media, you might like to use Tictail to sell your pre-loved items. It's a customisable shop platform that you add your products to yourself and create your own shop website. You get your own URL that you can share to allow people to access the shop and see what you've got for sale. Some good examples are run by bloggers I follow - Anneli's is on this link and Alex's is on this link. This is very much like eBay - you have an App that allows you to list via your phone. You add photos and a description but the items are sold on a fixed price basis, rather than an auction basis. Customers can add items to their basket, pay via paypal and you are responsible for packing up and posting off, just like eBay. The difference is that your items don't have the visibility of eBay...only the people who see your shop, can buy from it so you need to share share share! Anything you like! Though obviously, you need to bear in mind the advice re selling high value items and the practicality of selling less expensive items, as per eBay. Again - this is very much in line with eBay. You only pay PayPal charges as Tictail is free of charge. There are extras you can pay for to enhance your store but I ran my blog shop for a couple of years without ever buying any of the extras. Save your pennies! Remember to charge appropriate postage so you don't end up subsidising it with the proceeds of your sale. Many of these are similar to number 1 and 2..
Be realistic with your price point and be prepared to reduce prices if they don't sell within the first 6 weeks or so. Dispatch items promptly and always post using a signed-for service. This is the app-based alternative to eBay, launched only a couple of years ago. It uses an Instagram based platform and while it does work best if you're a blogger with a good following on social media, improved search functionality in recent months has meant that its usefulness is improved for non-bloggers. 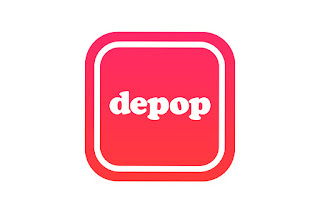 I was going to write a whole lot about depop but in truth, I've only purchased from it and never sold anything so I don't feel fully qualified. 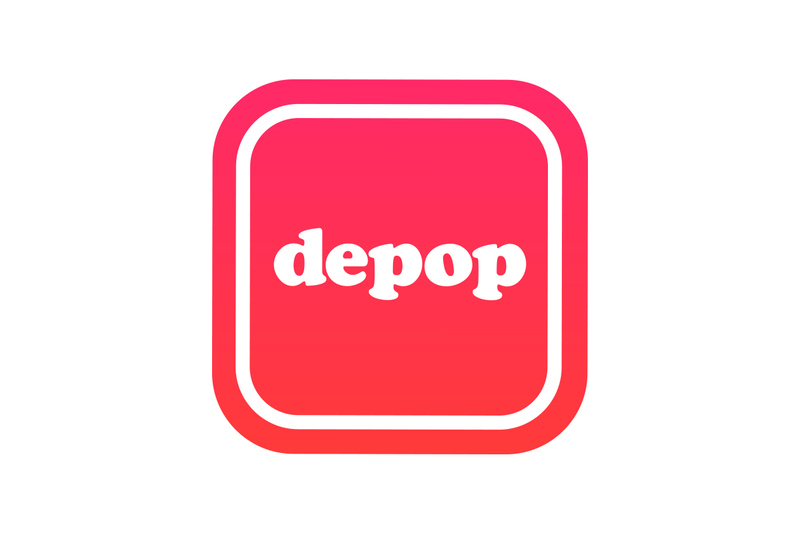 However, Irish journalist and blogger, Rosemary MacCabe has already written a fantastic article about it please go and read it on this link if you're interested in using depop. There are tons of preloved pages on Facebook and since a recent update, you have a direct link to the Facebook Marketplace on the bottom of your iPhone (the little house symbol). These can be really hit and miss though so I only use one - the Avenue 57 Preloved page, which is full of other women who came from Fiona's original Avenue 57 website. So we all kind of know each other and new members are introduced by existing members, which keeps the integrity of the site and makes selling on here relatively risk free. Keep an eye out for other groups local to you or ask friends to add you to one they're part of. It's just like writing a Facebook post - you type text, add photos and include a price and postage. Items are sold on a fixed price basis but sometimes people will offer a lower price. It's up to you whether you want to accept that...there's no pressure. Here's where you can offload mid-lower price brands. In my experience, it tends to work best for items that you're selling for less than £20. This wouldn't be my choice of platforms for an expensive item, simply for the same reasons as eBay. You have no come-back if items are 'lost' or damaged en-route and there's no feedback system for you to know if a buyer has a good reputation. The only costs are PayPal - 3.4% plus 20p per item. Some buyers who know each other will pay via the Family/Friends option on Paypal, which is fee-free. The same postage cost considerations as eBay apply here. Be realistic with prices - people generally use these groups to quickly buy a wee bargain. You'll have more success selling multiple items fast at a lower price. Consider listing multiple item posts to save time. They don't have the same success as individually listing each item but will be faster to upload. Suss out any Facebook selling group before you list anything. Join up, scroll down and read some posts. Get the gist of the group and how people post. See how many items are successfully selling, are people bargaining, what are prices like, all before listing anything yourself. This is my favourite one but unless there happens to be one organised locally to you, it's going to take some planning on your part. I've written about clothes swaps before back when I organised one myself and there's some information on how to go about it on that post. Basically, just invite about 10 friends with a mix of sizes to bring 5-10 items to your home, hang it all up in size order and let the party begin! Bring items that you'd be happy to bring home yourself. Make sure they're in good condition and reasonably recent purchases or classic items that never go out of fashion. Generally speaking, it's high street items that work best here, not designer ones! I told my friends to bring items that they consider too good to give to charity. There's no cost involved - it's the perfect way to refresh your wardrobe for free. Manage expectations of people attending. Make sure they understand that they may bring a Topshop top and leave with a Primark one....or indeed leave with nothing! It's not about exact like for like but about trying out items you'd not usually wear and having some fun. Make a plan for the end of the night. Either people take their items home or allow you to donate them to charity if they're not swapped out. I gave everyone at my party a last chance to take one more item and then donated everything else to my local charity shop. Please add any of your own ideas and tips in the comments below and I'll update the post as time goes on. It's taken me ages to write with many interruptions so I'm sure to have missed out on something crucial - do comment to let me know!